Manufacturing and supplying of supreme quality Alloy Steel Pipe has helped us achieve a very high level of trust in the market.These are widely known for their striking features like tensile strength, durability, robust construction, temperature, and longer service life and pressure resistance. These are widely applicable in various industrial functions. Innovation is our forte and manufacturing along with supplying of Alloy Steel Pipe from our side is a strong example of the same.These are available in various specifications like size, diameter, length, dimensions and can customized as per piping requirements stated by the customer. 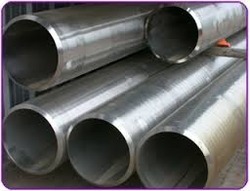 We provide these pipes at industry leading rates in the market at present. Providing high quality hot finish seamless carbon steel tubes and pipes at affordable cost in India. 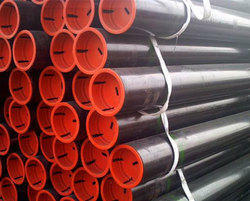 Our company has earned great laurels as manufacturers and suppliers of Alloy Steel Pipe in the market. These are widely used in engineering and construction industry and are available in multiple dimensions and sizes. The unique features of this product include hot dipped galvanizing, epoxy coating, electro polish and draw & expansion.